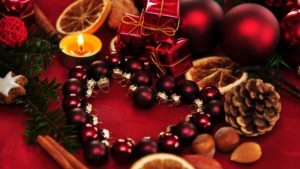 If you are mourning the death of a loved one, living with your grief during holidays such as Christmas, Valentine's Day and birthdays can be overwhelming. Everyone around you is celebrating togetherness, but you're struggling with the fact that your loved one is no longer physically present in your life. Methods for coping with grief are studied by psychologists and social scientists, but you may be surprised to learn that there is very little research on resilience in the grief process... at least in modern Western society. The fact is that loss and bereavement does not have to devastate us, and we may be more resilient than we think. The term "grief work" was coined by Sigmund Freud in his 1913 essay, Mourning and Melancholia. He proposed that the mourning process should result in an eventual detachment from the memories and emotions that linked us to the departed. This letting go process is extremely painful, but without breaking that bond (said Freud), we are not able to heal. Freud was not a fan of spirituality, and what he didn't realize was that those bonds CANNOT be broken. If he'd followed the lead of mourning practices in other cultures, he might have learned that maintaining those bonds produces healthier outcomes. Most of today's grief counselors know this, and we now understand grief as a series of tasks that include what researcher William Worden calls "relocating the deceased" in one's life. Think about how powerful that word is... relocating. It has both a physical and a non-physical application. 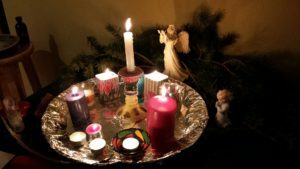 In the three-dimensional world where we gather with family during the holidays, send Valentine cards or light birthday candles, the departed is not physically present in that location. But from a metaphysical perspective, many of us sense or understand that the person has merely moved to a different location in time/space. And knowing this can help us create meaningful rituals to make the milestone dates a little less heartbreaking. So this year, instead of focusing on the absence of your loved one, focus on their presence by inviting them to the festivities. Create symbolic representations and rituals, for example, making a Valentine card and then burning it in a ceremony that sends your love "up" to the spirit world via the smoke. Or cook their favorite dinner and invite friends to share it with you. Sad feelings are more easily healed and balanced when we invite them in rather than push them away. Recognizing that our loved ones are still very much a part of us can provide some relief from pain and open the possibility of finding joy in life again.